Zippo hand warmer with a black finished case. 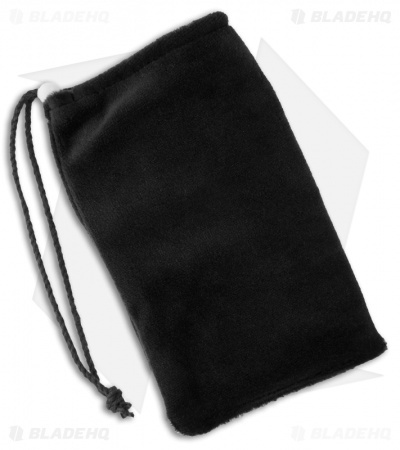 Includes warmer bag and filling cup. 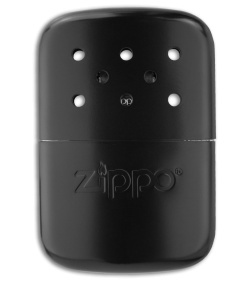 Fill with Zippo's premium lighter fluid for up to 12 hours of warmth per use. Dry weight is 3 oz with bag. 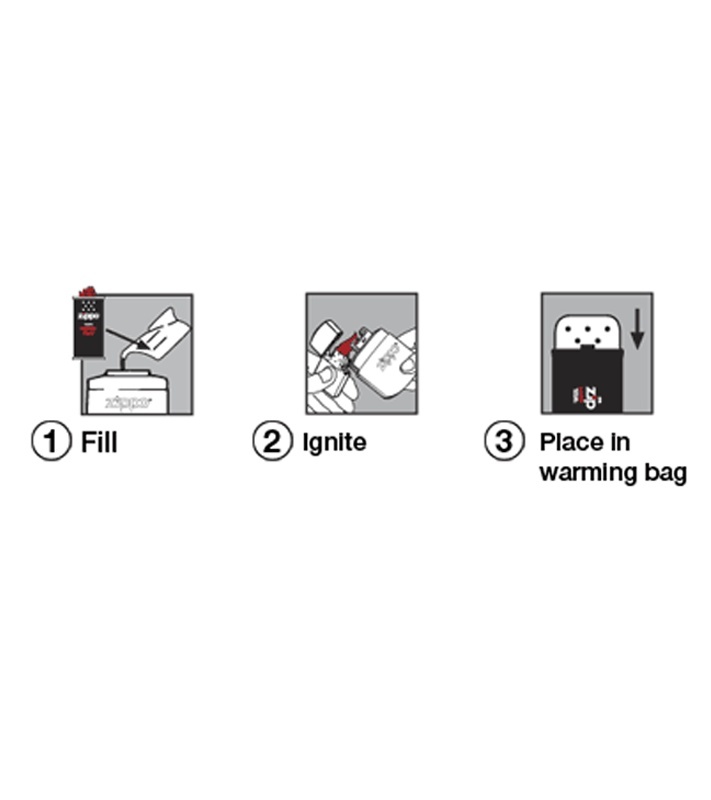 Handwarmer replacement burners are sold separately. Made in the USA. With over half a billion lighters produced in the last 70 years, and an impressive range of graphics and finishes available to match any style, Zippo continues to be the go-to choice for windproof lighters and now other accessories! Zippo hand warmers do not include fuel. Also, due to shipping restrictions, we do not sell Zippo Lighter Fluid, but it's easy to procure locally.